As our dogs age, like us they can suffer degenerative conditions such as arthritis. Around 1 in 5 of our adult dogs experience osteoarthritis and it can be extremely uncomfortable for them. So how to treat arthritis in dogs? Despite arthritis being more common in large breeds, older dogs or those that are obese, it can occur in all breeds and at any age. Unfortunately, there isn’t a cure for arthritis there are things that we can do to make our dogs more comfortable. 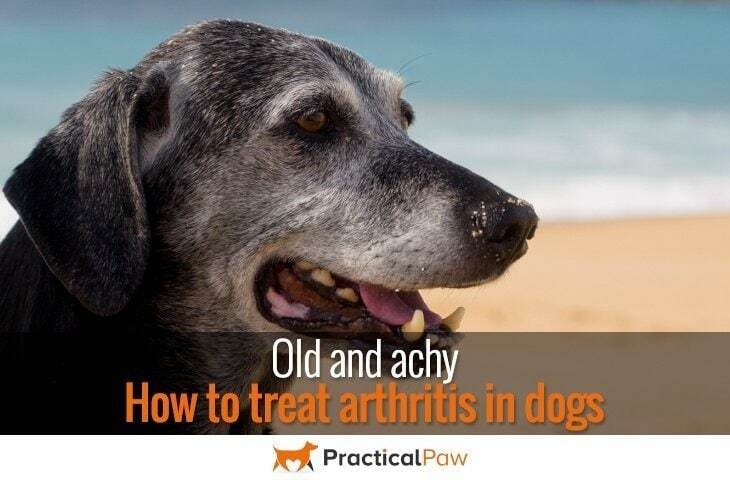 Although typically seen in older dogs, arthritis can begin to develop from an early age if there are any issues with bone or joint development. Inflammation of the joint occurs when cartilage within a joint changes or gets damaged. Normally the bone surfaces within a joint are covered with a thin layer of cartilage that cushions the joint and these are coated with a slippery membrane. The space between is filled with joint fluid so that as the joint moves the two surfaces glide easily over each other. Arthritis happens when that process is altered by a problem with the cartilage. As the two surfaces move over each damage or changes to the cartilage create a problem with the process. Friction occurs and it results in the bone structures rubbing together creating further damage to the cartilage. As a result of this damage new bone starts to form around the joint making the joint stiff and less mobile. It is sometimes hard to tell in the early stages if your dog is experiencing discomfort. Most dogs cope very well with soreness and as the condition tends to come on slowly it can be some time before your dog shows any obvious signs of pain. If your dog is over seven years of age, obese or is a large breed then here are a few things to look out for. If you suspect that your dog may have developed arthritis then pay a visit to your vet. Diagnosis can be made by a physical exam, using a dog’s pain response to joint palpation, as well as the presence of a grating or cracking sensation felt within the joints. 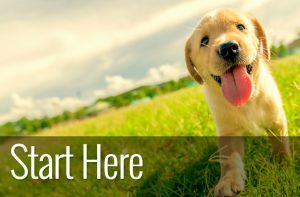 Your Vet may also ask you to get your dog to walk around while they observe your dog’s gait and examine muscle tone. They may also perform an X-ray. If you suspect that your dog has arthritis or it has been diagnosed by a vet then it is important to manage the condition to ensure that your dog is as comfortable as possible. Although arthritis cannot be cured there are things that you can do to help your dog lead a healthy and happy life. Although treatment may include nutritional supplements and drugs that protect and promote repair in the remaining cartilage. Your dog will also be given non-steroidal anti-inflammatory pain-relieving medications (NSAIDs). This group of drugs is designed to manage inflammation and pain. And although highly effective they are not without concerns and the side effects can be numerous and severe. Your vet should advise you on the appropriate course of action and talk to you about the possible side effects to watch out for. 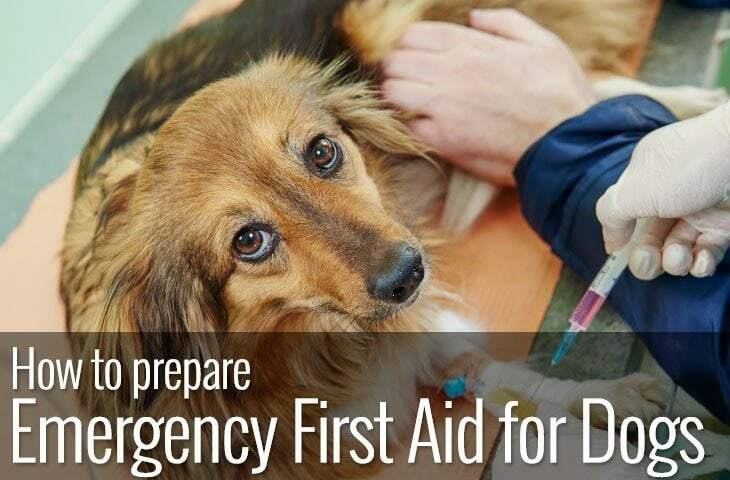 It’s vital that you don’t give your dog any other medication without first consulting your vet as certain drugs are contra-indicated with NSAIDs and can result in death. Despite the risks associated with NSAIDs, they have proved to be very effective in the management of arthritis and have an excellent track record of safety. There are so many natural alternatives available that it can be difficult to know what can be effective. But if you are uncomfortable with the traditional approach they can offer a real alternative. Why not consider finding a holistic veterinarian or discussing the following options with your vet. In some cases, changes in your dog’s diet can improve his overall health. Certain foods may have the effect of increasing inflammation, for example a diet free from grains may help as some dogs. If you regularly treat your dog to dairy products this is also worth stopping to see if it makes a positive difference. There are many supplements available that promote joint health and help protect and repair cartilage. 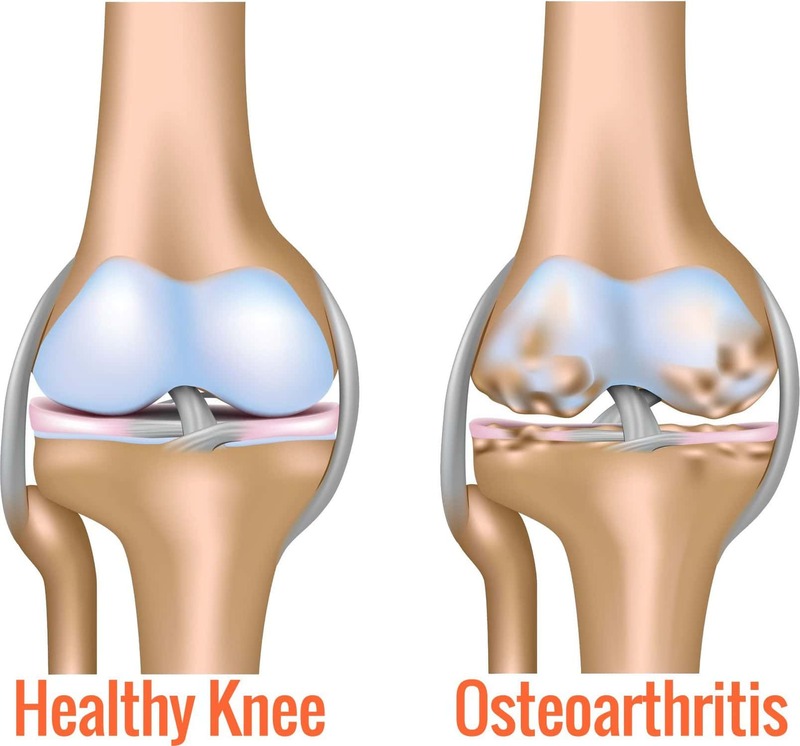 The most commonly used for arthritis are glucosamine, chondroitin and fish oils. Consistent exercise is important for dogs with arthritis as it maintains mobility. Without exercise your dog’s joints can get stiff and make the symptoms of arthritis worse. However it can also be very uncomfortable for your dog to do weight bearing exercise. Swimming can be very beneficial as it provides non weight bearing exercise in a controlled environment. The warm water not only can provide relief from stiff joints but also builds muscles without strain. The exercises are often targeted at specific joints or muscles. And your dog is monitored to ensure that he is not overusing or compensating for painful areas and gets the most benefit. We all like stroking our dogs. 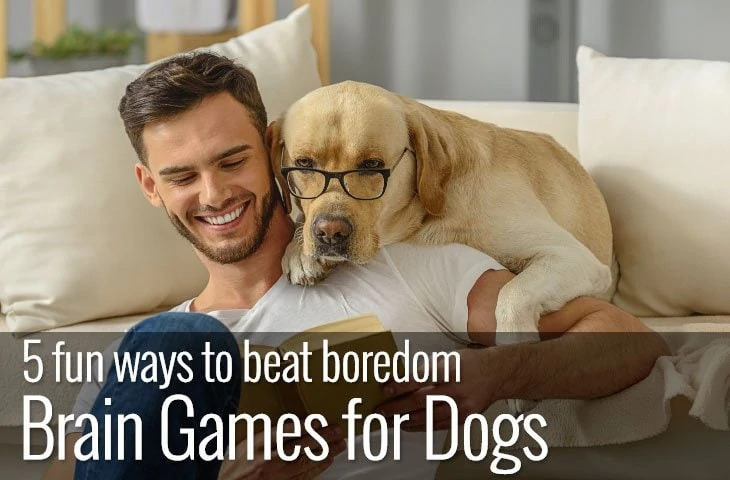 One of the reasons is that it not only increases our oxytocin, known as the most amazing molecule in the world or the love drug but also that of our dogs. So why not take advantage of this natural feel good drug and combine it with massage. Massage has several benefits. It can help with atrophying muscles stimulating blood flow to the affected areas increasing circulation and aiding repair. What’s more it influences endorphin release providing pain relief and is effective in releasing tension from all over the body. It can help to relieve stiffness and joint discomfort and increases flexibility that will help with overall mobility. Very fine needles are inserted through the skin in locations that have an effect on nerve function. Some dogs find acupuncture extremely relaxing as it encourages the release of natural morphine-like substances in the body relieving pain. Acupuncture enables the body to release its own pain relieving and anti-inflammatory substances. It relaxes muscles and improves blood flow and oxygenation of tissues aiding in repair. Physiotherapy can be effective in relieving stiffness and pain and can help dogs remain mobile. The goal is to reduce pain and increase the function and mobility of joints. There are several techniques that can be employed as part of physiotherapy treatment including strengthening exercises, balancing exercises and PROM (“Passive Range Of Motion”). PROM is used by physiotherapists to encourage your dog to use the full range of movement in a particular joint, and is effective in increasing flexibility. If your dog is in pain and is suffering from the effects of arthritis, remember this isn’t an either/or choice. 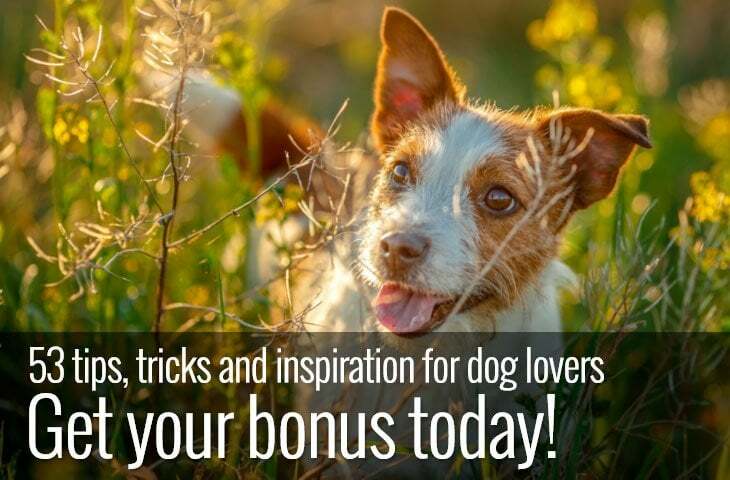 A combination of traditional and natural remedies may provide the best solution for you and your dog. Although it may be tempting to try to treat your dog yourself, always seek veterinarian advice first. Your dog may very well be experiencing age related signs of wear and tear. But there are other conditions that can present similar symptoms, so as always it’s better to be safe than sorry.